I love building with pallets. They are a valuable source of free wood that can be transformed into virtually anything! 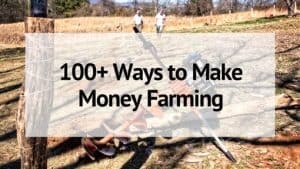 We have used them around our homestead to make barns and animal shelters, compost bins, trash bins, hay feeders and more. We get them for free through my husband’s work. Check around your town or on your local Craigslist and see if you can find a source of free pallets for all of your building needs! Do you need a shed, barn, or storage building? 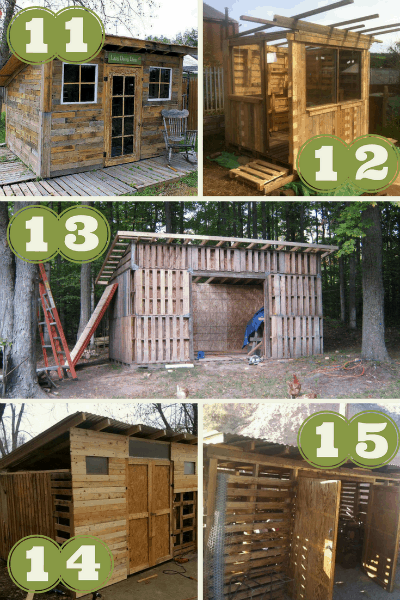 Check out these 15 DIY Pallet Sheds and Buildings for ideas and inspiration! 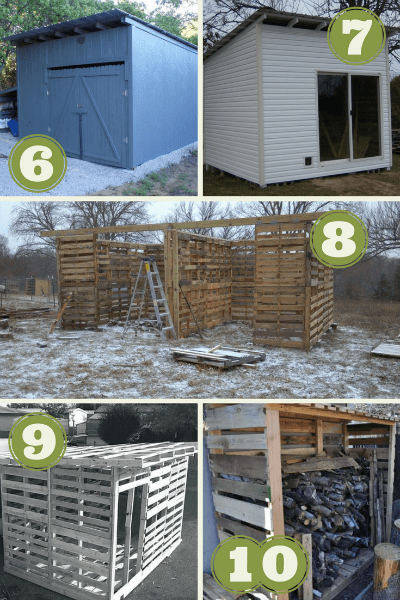 From cheap and easy pallet sheds to more complex and fully-sided buildings that you could almost live in- there is a pallet barn for every need! 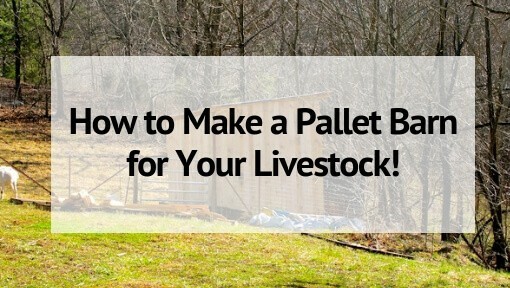 This Quick and Inexpensive Pallet Shelter is so fast to put up and is great for shelters for livestock or open storage. They are durable but inexpensive. If you live in an area with a lot of snow you may have to reinforce the roof in the center to keep it from sagging. This is another super quick Pallet Goat Shelter to put together. 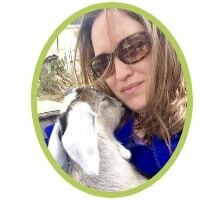 Goats can snuggle down together to keep warm- even in the cold Montana winters! Pigs don’t require a lot when it comes to shelter, just something to give them shade and protect them from harsh weather. This Pallet Hog House is perfect for a couple of pigs! We used something similar last year for ours- though it just had a plywood roof and it worked out great while they were here! This 10 x 10 Pallet Barn is made with pallets stacked 2-high. The walls are made entirely from recycled wood pallets which are then covered in rough sawn lumber and a solid roof. This barn is anchored into the ground with 4x4 corner posts so it is sturdy and can house our goats comfortably. Pallets can be used for things other than livestock too. Such as storage! Check out this Pallet Tractor Shed that is fully enclosed to keep your tractor undercover and out of the harsh sun and rain. #6- Can You Tell These Are Pallets? This Pallet Shed is amazing, isn’t it? All of our pallet shelters have been left pretty rustic. But this pallet shed has been painted and you would never know it made use of recycled wood! #7- Pallet Shed to Match Your House? I love that this Sided Pallet Shed has been fully finished and sided with vinyl siding. It also has a finished floor and sliding door! Keeping your hay dry over the winter is really important. Especially if you have a lot to store and have a lot of animals that depend on it. This Pallet Hay Barn is huge and will definitely get the job done! Pallet shed can also be a great addition to your garden. I know I like to keep my tools near by and not have to trek all the way to our big barn every time I need something. This Pallet Garden Shed is an easy way to store your gardening supplies right where you need them most. Just like hay, if you heat with wood, it’s really important to keep that wood dry. Luckily you can build this Pallet Wood Shed to keep your wood under roof and dry so it burns hot during those close winter days and nights. #11- Pallet Shed or Cottage? This Pallet Shed is one of the cutest pallet sheds I’ve seen. It almost looks like a little cottage. I also love that it is almost completely recycled. Pallet walls, pallet floor, pallet wood for the siding, and even recycled tin cans for the roof! Here’s another cute option for a Pallet Garden Shed I love that it has windows, if they are facing the right direction it would be a great protected place to keep some cool weather seedlings! Pallets are great for small sheds and buildings- but they are great for large ones too! This 12 x 16 Pallet Shed would give you tons of room for livestock, storage, an maybe even a hay loft! Are you feeling inspired yet?! 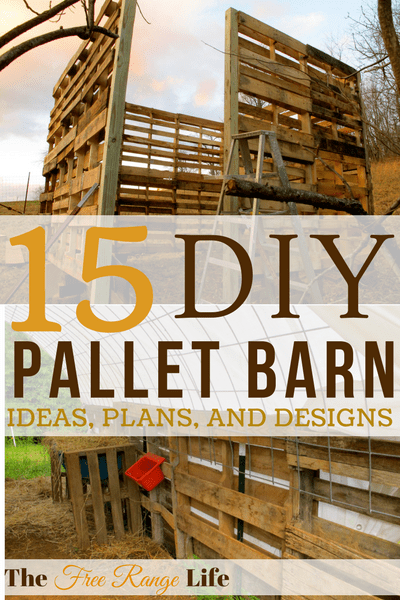 There are just so many ways to build barns or shed with recycled, free wooden pallets! This Pallet Storage Shed is just another option on how you can use pallets to build whatever size or shaped building you need. 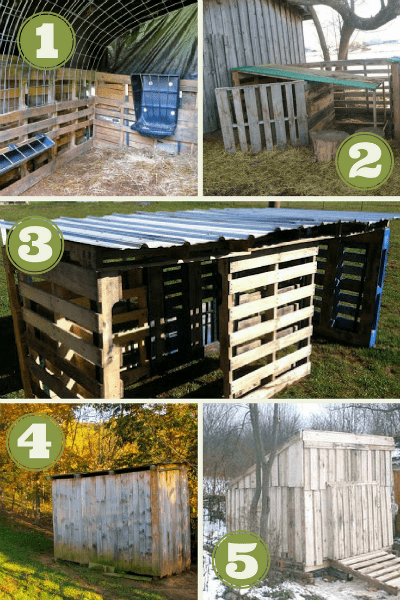 Here’s one final Cheap, Easy Pallet Shed that would make a great place for goats or small livestock. It has doors so you could close them up at night to protect them from predators or to keep wind or weather out! Have you ever built anything with pallets? 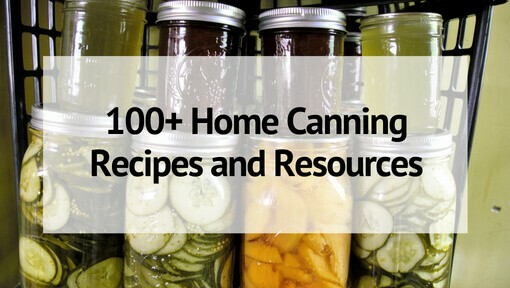 Share your ideas and projects in the comments! Nice. However you can make it yourself. Just google WoodPrix and learn how to do it easily.